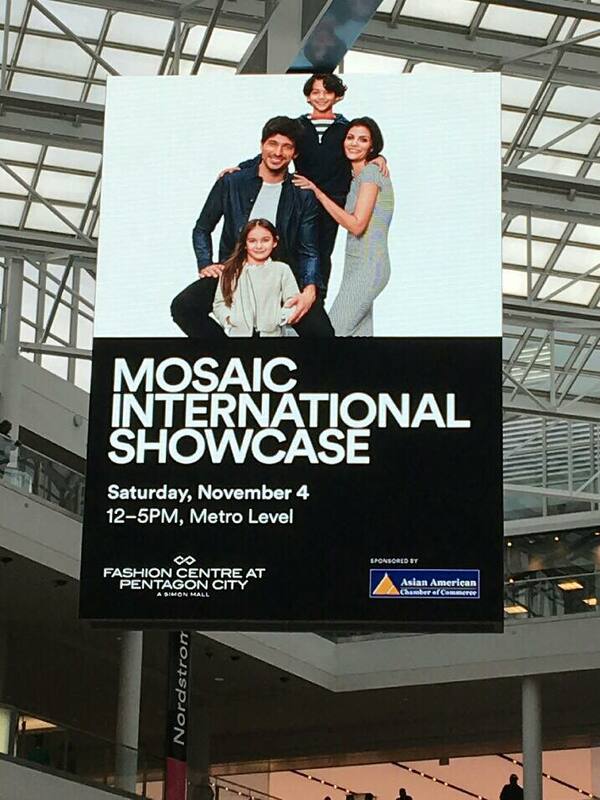 The 3rd annual Mosaic International Showcase was held at the Fashion Centre at Pentagon City on November 4th in conjunction with the Asian American Chamber of Commerce. 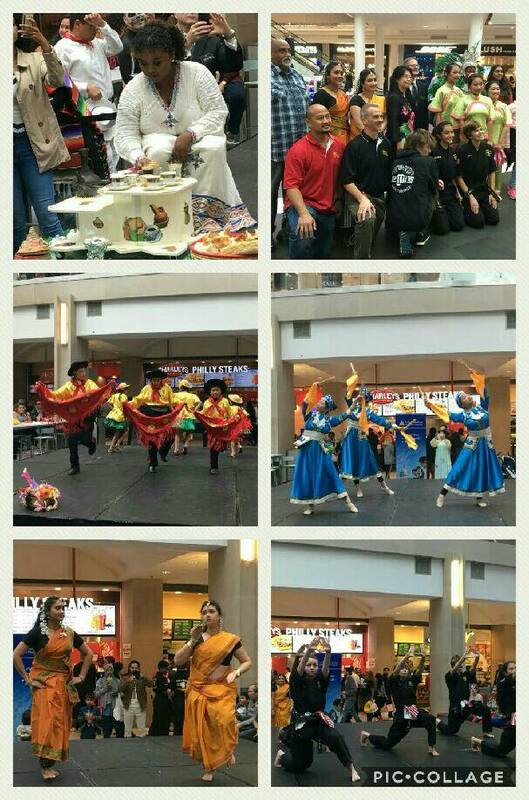 This event promoted cultural diversity and portrayed an array of cultures ranging from South America all the way to Asia. A total of nine cultures were showcased: Vietnam, China, India, Korea, Indonesia, Bolivia, Ethiopia, Mexico, and Brazil. While some performers opted to present their cultures dance, others chose to sing traditional songs. The event was held in the center of the mall drawing in a bustling crowd of all cultures. The event began with kind opening remarks from Senator Barbara Favola of Virginia and Katie Cristol from the Arlington County Board. They both expressed their appreciation for the celebration of cultures and just how imminent it is for society to grow. Arlington county, being the hub to cultural diversity, made this event all the more engaging. 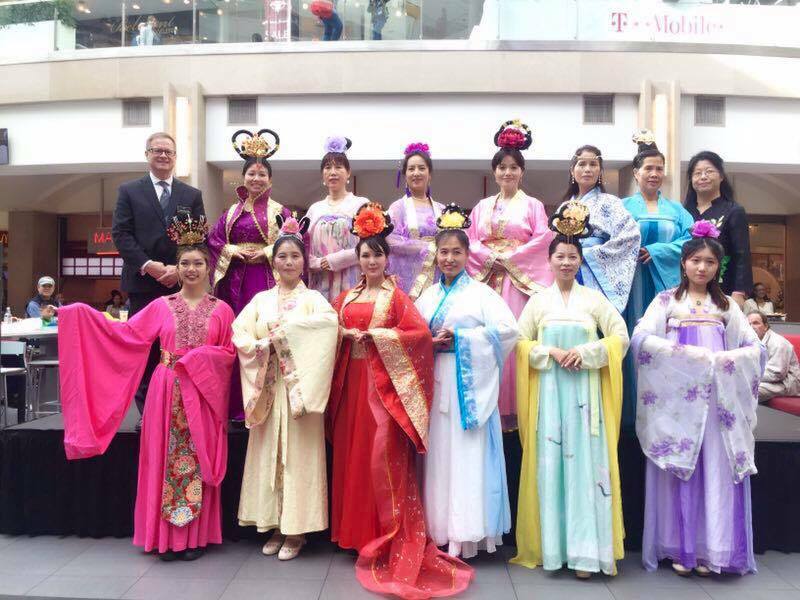 Over 126 languages are spoken in Arlington county itself and to be able to cater to a few of the many cultures seemed like a big success for the Asian American Chamber of Commerce. The Chinese Hanfu show captured the true essence of traditional Chinese clothing. The bright colors worn and the various personalities present, created an exciting and warm environment for the attendees and bystanders. A traditional Ethiopian coffee (Shai) ceremony was performed while dancers were entertaining the crowds in the background. The Little Ethiopia Dance group gave off an infectious energy that kept the crowd smiling. Switching over to a more intense performance, the Jhoon Rhee Tae Kwon Do academy had an innovative take on this centuries old art. They incorporated classical music into their physical sets which left the audience pleasantly surprised. This challenges both the physical and mental aspects of the body and urges the kids to work towards their utmost potential. The Ballet Bolivia En Mi Corazon consists of a group of children who show how being in a different country does not mean they cannot be culturally whole. They performed the traditional Morenada dance of Bolivia. The bright colors mixed with the traditional music created a euphoric atmosphere which kept the crowd moving. India was also represented with a traditional Kuchipudi dance performed by Lalita Kota and Chinmayee Bala. In their second performance, the two girls added in a fusion showing just how intertwined cultures are. The Ming Hui school put on two performances. The Mongolian Chopstick dance symbolized, “United we stand, Divided we fall.” One chopstick is easy to break, but a group of chopsticks together is almost impossible to. The Santi Budaya Performing Arts Center, LLC showcased a traditional Indonesian dance while the Capital Region Inner Mongolia Hometown Association treated everyone's ears with a solo singing performance by Wei Han in soprano. Sambaing over to the next performance, Zezeh Brazil dance troupe showed the crowd the essence and effervescence of Brazil. It left the crowd shining...almost as much as her outfit. The Miss Saigon Dance team represented Vietnam and performed a calming and graceful dance. Given the current season, the Mexican Cultural Institute danced incorporating the Day of the Dead (Dia De Los Muertos). 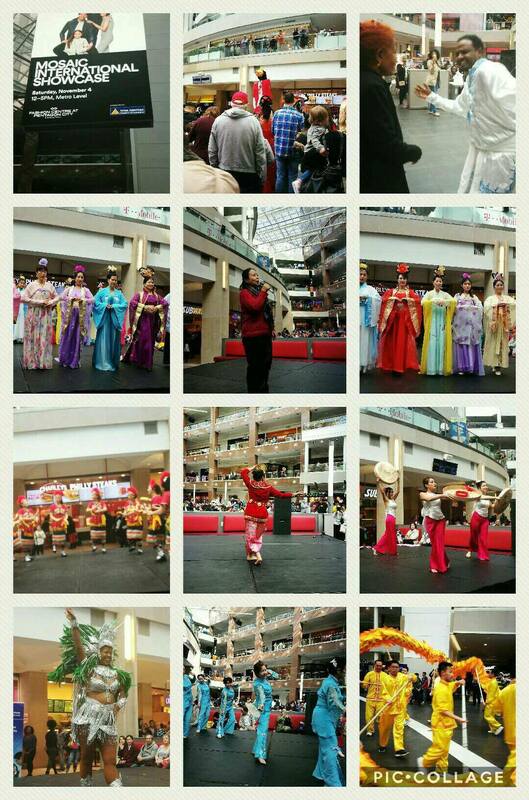 Lastly, The Fairfax Chinese Dance Troupe, performed two sets of dances reflecting Chinese and Taiwanese culture. The women moved with grace and spirit. All the performances were a hit for the crowds! We want to thank all the performers for their beautiful performances and commitment to the event. Thank you to all those who attended this event and made it successful. The Asian American Chamber of Commerce appreciates all that you do!